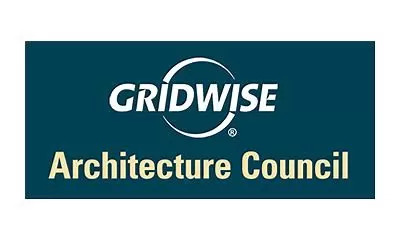 Michel Kohanim discusses Transactive Energy at Gridwise Architecture Council Meeting! 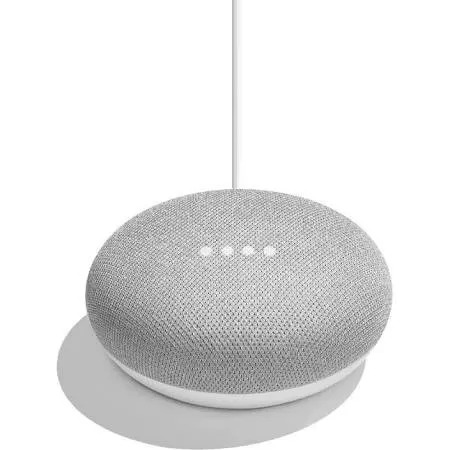 ISY is now integrated with The Google Home/Assistant! 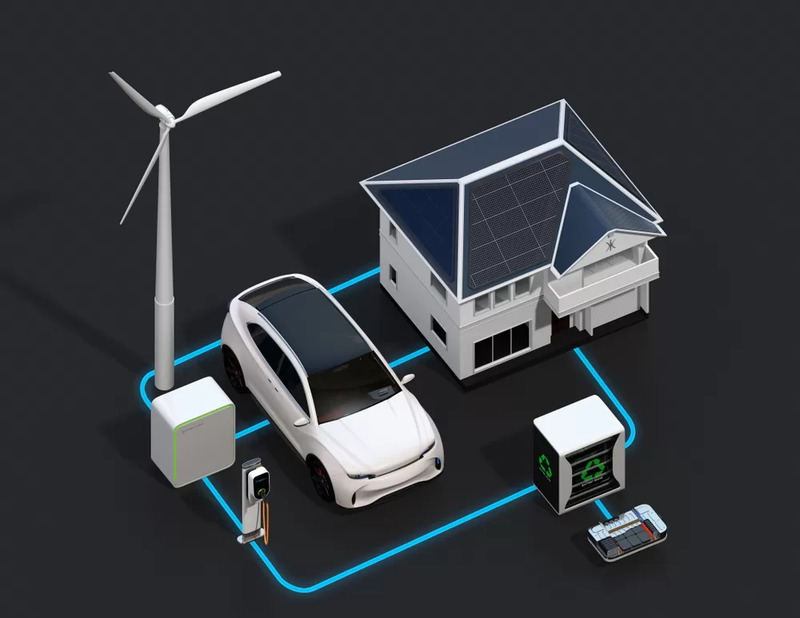 Article by Michel Kohanim and Rolf Bienert on Bringing the Smart Grid into Homes! 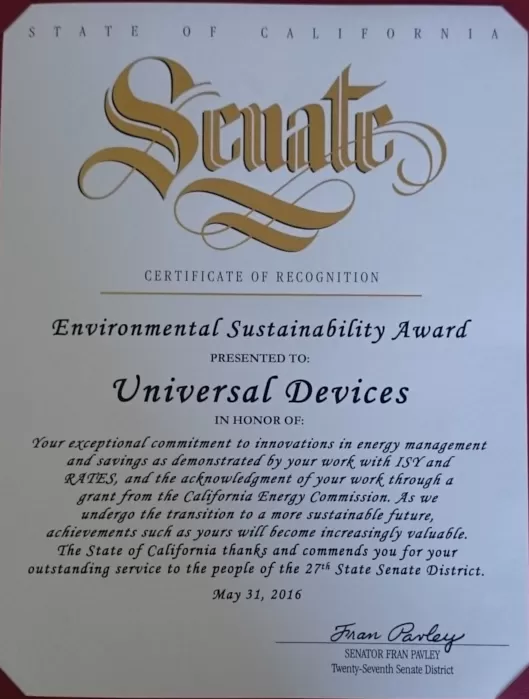 Universal Devices, Inc. is proud to announce the receipt of Environmental Sustainability Award from the office of Senator Fran Pavley! 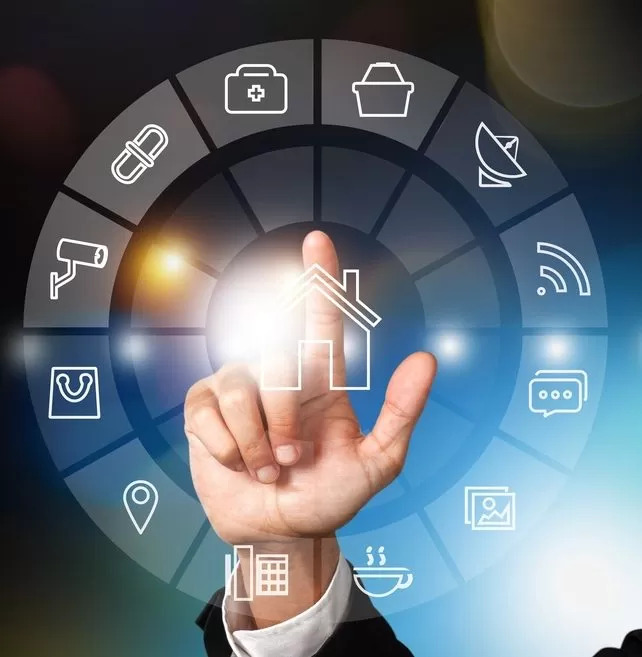 Michel Kohanim to present at OpenADR and Internet of Things Webinar! 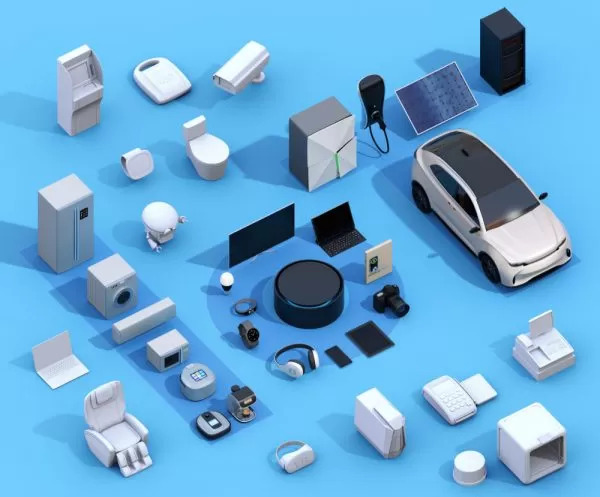 ISY is now integrated with Amazon Echo and IFTTT. ISY in Washington Post: Left the coffee pot on? NO worries. There’s an app for that.